THE TERRORIST CAUCUS IN THE HOUSE Ilhan Omar has exposed the greatest liability America faces in the global terror war. UNCONFIRMED REPORTS BLAME ZAHRAN HASHIM FOR SRI LANKA ATTACK. WHO IS HE? 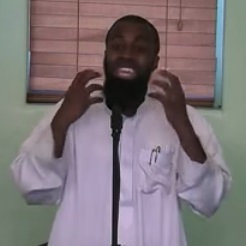 An Islamist extremist imam, he was a prolific lecturer for National Tawheed Jamaath. 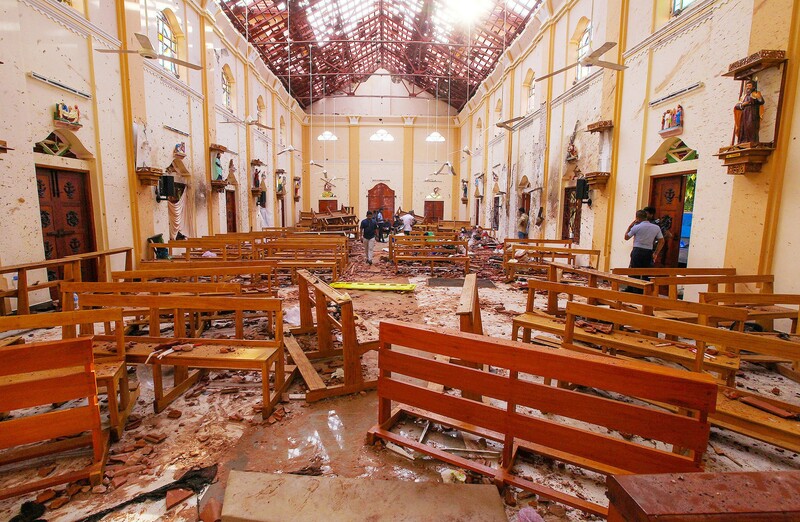 THE SRI LANKA JIHAD MASSACRE AND THE DECLINE OF THE WEST How many times is the charade of denial going to play out? Islamophobia? A phobia is an irrational fear. With doomed desperate Islam, it's irrational not to fear it and keep vigilant, because Islam wants you to fear it so it can dominate the world. This recently coined newspeak word is a reverse psychology con by Muslim and pro-Muslim disinfo. artists to make you stick your head in the sand to aid their infiltration so they can turn the West into a living hell like the Middle East. It's not the West, but the Muslim World that must go, along with all its hate and fearmongering. Now they've declared a caliphate, which is gaining followers daily, and will eventually make it mandatory for all Muslims worldwide to go on jihad, making Muslims in the West into agents of a foreign power and enemy combatants in their midst. So yes, we should all fear Islam, but not fear to fight it, and hate and despise it too, openly and proudly. Islam is a huge mental straightjacket of lies and fraud and hate, threatening to send humanity back to the Dark Ages, and it must go, it really must go. Sorry, leftist PC useful idiots, Muslims aren't our friends. The Quran commands them to be enemies of all non-Muslims, and befriend them only under false pretenses for an ultimate victory. Allowing them to immigrate to the West without apostasizing first is wrong and sick. Yes, their big oil bucks allow them to pervert the media and govt., so listen to what they say but watch what they do, and work, watch, and wait for the joyous day of the Great Muslim Apostasy when hundreds of millions tweet that they're chucking Islam, Allah, Muhammad and his Great Jihad and dancing in the streets with Jews, asking for help in being absolved of their crimes and rejoining the human race in a new Middle East that's a credit to the world instead of an eyesore. The U.N. has made a big mistake in admitting Muslim nations, who know very well that criticism of Islam is the seed, and apostasy the fruit. Instead of going with their program of criminalizing criticism of Islam, the U.N. should expel any member nation that continues to criminalize criticism of Islam or apostasy. 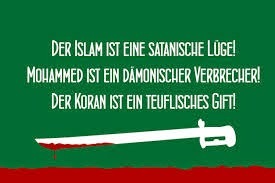 The future must belong to those who apostasize from Islam. If the worse comes and Europe goes, America will never fall, and will be victorious in the end. The Historyscoper's Islam Watch Blog International. Set up from May 11-30, 2014 when Google decided to take this blog down then flopped and put it back online. Who's going to write the final story on this sad chapter of censorship from the corporation that was supposedly devoted to fighting it? RU a Lookieloo, an ostrich, or an eagle fighter? THE BRITISH GOVERNMENT STINKS TO HIGH HEAVEN! Who are you going to arrest next, assholes? Answer: EVERYBODY :) How will you find the room to imprison half of your population on your overcrowded island, sicko leftist overlords? Proposed British laws criminalizing all free speech except when Muslims are involved. The Winslow Plan for Defeating Islam - read and share it. Global Islam is well organized and financed. How about you? It's time to get serious. Go to school now online. The Historyscoper's Modern Muslimscope - Most Powerful Cram Course for Former Ostriches to Start Becoming Eagles - free as a public service. Is it getting a little hot where you live? Yes, it is a global conspiracy. Can you pass a basic test on the key orgs. and leaders of the modern Muslim World, including those in the U.S.? Study TLW's new Modern Muslimscope and pass the advanced test too. THE #1 BLOG FOR SERIOUS ISLAM WATCHERS. HOME OF THE WINSLOW PLAN FOR DEFEATING ISLAM. From Colo. USA. Donation supported. 100K+ posts since 4/13/2010. Keep up with us or be left behind. Despite intolerant supremacist Muslim immigrants undermining their way of life daily, they coddle them and treat them as victims, while persecuting brave MP Geert Wilders, who dares to tell them the truth no matter what they do to him. It's time the people woke up and threw off their leftist overlords and put Wilders in charge. It's a jailable offense in stinkin' Canada to utter the phrase "Islam is evil". Well, Islam IS evil, and living in the U.S. just miles away, I must add that Canada is evil, and hopefully a popular revolt will sweep its leftist overlords who hate their own culture into the trash can of history. Too bad, most prominent Islam-watching bloggers, particularly ROBERT SPENCER AND PAMELA GELLER think they were appointed and won't plug or even mention this totally free blog and my other free educational resources to their readers no matter how much it hurts them. Never fear, nobody owns the Internet, and when their readers figure it out, they too shall pass, especially because they're clearly only in it for the money, how 'bout them nice speaking tours and them ridiculous bus ads that waste money that could be used to reward other Islam watcher blogs, of course they don't want anyone horning in on their monopoly. Not satisfied to found an org. called Stop Islamization of America, they tried to trademark the name like they own the words. They're not on our team or your team, they're on their own team. I don't recommend that you contribute any money to them, they've outlived their usefulness. Donate to moi instead :). They do not appear to even visit this blog occasionally, what maroons, the blind leading the blind, good news, you'll know more than them every day of the week. For years both of their blogs have banned me from posting, that says it all, they're not champions but enemies of freedom of speech except for themselves. All of Spencer's anti-Islam work is suspect as the work of a Catholic front who wants to bring the Dark Ages back, while all of Geller's work is suspect of being a front for Israel, waving the U.S. flag as a ruse. When they did it to me they did it to themselves. Speaking of Islam watchers, if you run a blog that's linked to here, how about telling your readers about it, preferably in your masthead? I do everything I can to promote you already, don't I? Regular readers: Just think. What would you do without this blog? How to donate? If you want to flip me a quarter, just click an advertisement. To donate more, there's a Paypal button at the end of the page. The donations must have no strings attached, consider them like a tip to a waiter. It might encourage me to keep the blog going when I have so much else to do. Despite running an online world history school that invites everybody to try despite long odds of success, TLW is currently the world's only Historyscoper (tm), it's lonely at the top, and since you can't be here with me you can send me money and hope I stick around. I don't live for money, I live for knowledge, but I'll take all the money I can get, so be generous, I'm not a disembodied brain, papa needs a new pair of shoes. BTW, why not tip the blogs I regularly link to if you like them, they're the lifeblood I'm just the heart pumping them to you and the brain organizing it. I'm sorry if you can't handle the reading load here, but with me it's no sweat. This blog of blogs on Islam is merely my reading list on this one subject, check out my 20+ other blogs. The way I work is that I post each link after sponging it into my giant brain. If you can't keep up with me you can at least try your best, at least you know where to catch up with what you missed. So what if you're a zillion posts behind, at least you can get ahead of your next-door neighbor here. Never fear, TLW helps by digesting the material and producing awesome astounding Historyscopes (tm) on his main site historyscoper.com. Of course, they'll strain your brain, but that's nice because if it doesn't bust it'll grow. Have an article you think TLW should read, or a blog to add to his blog list? After searching to make sure it hasn't been posted, email the url to his historyscoper account on gmail with msg title "HISTORYSCOPER/ISLAM WATCH BLOG" in caps. If you have a new blog you want me to plug, tell me please. Oh yes. Is TLW leftist, rightist, or what? He's above all that, he's TLW. 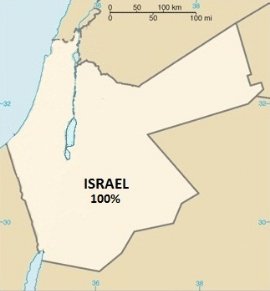 NB: TLW is 100% for the Jewish State of Israel. My knowledge of history tells me that Jews have a historical right to their own state with capital in Jerusalem, and that bucking them is suicide. There's only 13.7 million Jews, so why can't the 300 million Arabs make room for poor outnumbered surrounded Israel and leave it alone? Answer: ISLAM, which teaches Muslims to wage eternal jihad no matter how futile and bloody. The answer is for Muslims to chuck the Quran and Allah and forget Muhammad and clear out from the Nile to the Euphrates and let the Jewish State of Israel lead them back into the human race. BIG NOTE: Don't rely on my Twitter or other feeds to keep up on all the posts here, they only provide spotty coverage. For maximum benefit load the home page in your browser in a permanent tab and refresh it every hour or oftener. It's like sitting in the eagle's eyrie, like no other blog can give you. Qatar and Turkey Face Setback in Libya and Sudan - In Libya Turkey and Qatar's support for the Tripoli government in the eastern part of the country grew out of the Arab spring and the civil conflict in Libya. If You Love Forests, Let Them Burn - Policymakers need to re-evaluate the effectiveness of controlled burning for managing future forest fires. 'Just their shoes': Sri Lanka struggles to identify the dead - Hospital staff, families face up to trauma of distinguishing disfigured bodies in wake of deadly Easter Sunday blasts. John Oliver Calls Out the Key Factors of the Mueller Report: Incompetence and Disobedience - Following the release of the Mueller Report, John Oliver discusses what we’ve learned. Michigan: Court affirms sharia, orders $50k payment in Islamic marriage agreement - A Detroit-area Muslim must pay his ex-wife $50,000 under the terms of their Islamic sharia marriage, a decision that sets a precedent for Michigan judges. The Mueller Report Shows Politicians Must Unite to Fight Election Interference - It's time to put partisanship aside and come together to protect U.S. democracy. "Don't Jump To Conclusions!" -those jumping to conclusions - Sparked by a comment Avi Yemeni made, about how people are warning about jumping to conclusions, While jumping to conclusions. “We will kill you, cut your head off, slaughter you” - Minister of Justice Grapperhaus is doing nothing at all. If they’ll kill me, he is responsible. Mystery Surrounds Trump's New 'Slow Withdrawal' - There are new questions about the degree to which the withdrawal will be coordinated with Turkey. TOY by Netta Barzilai winner of Eurovision 2018 - Winner of the Eurovision 2018 The post TOY by Netta Barzilai winner of Eurovision 2018 appeared first on OneJerusalem.com. Shocking Video! Iran's Supreme Leader kiss in the mouth 5-year-old girl and asks "Is it tasty?" - This is sick! But according to Sharia law in Iran it's legal. Share this shocking video! Rethinking U.S. Navy Partnerships - Wikistrat's analysts argue that naval partnerships in Asia will become even more important and that the U.S. needs to invest more in them. Done tolerating - The point of this post can be found here and here. Republic Day: Nawaz Sharif Asks Barack Obama To Raise Kashmir Issue. Marina Cafe & Restaurant - Welcome to marina cafe and restaurant Web site totally different totally unique totally tasty . The "Palestinian Problem" - Please share! Here we go - Ok you jackasses in the LSM….you got what you wanted, Nobama’s been reelected. Can we now finally dispense with the tongue-bathing? Boycott Watch - Get both sides of the story so you can decide for yourself what the truth is. Unity Coalition for Israel :: Sharia : "No More Choice"
Osama bin Laden is dead, When I Think About The Cover-up, I Simply Explode...! SportingUmmah.com | Muslims and the World of Sports. 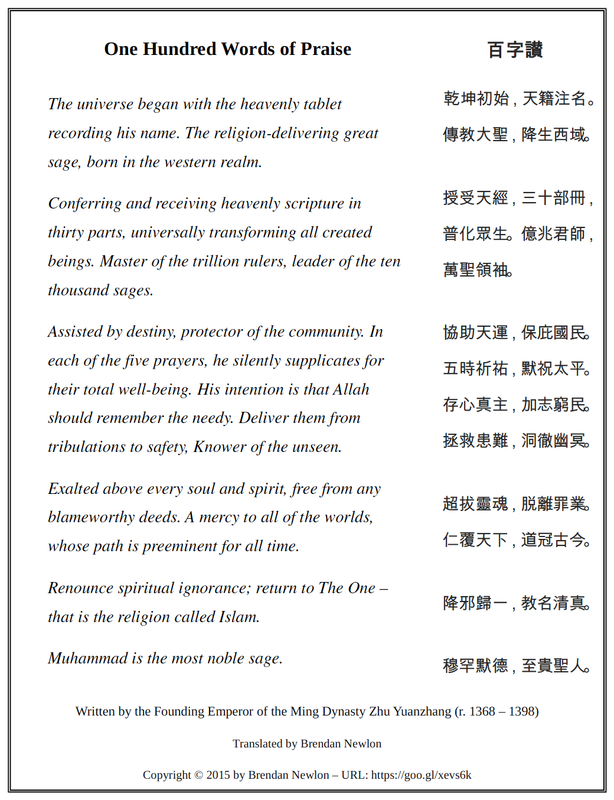 Islam Watch Blog List Cont. Ukraine Elected A Jewish Comedian But Have Ya Heard About The Jews Who Ran Peru - The first Jewish head of state was said to be in Honduras, all the way back in 1841. Netanyahu praises US decision to end Iran sanction waivers - 'We stand alongside the determination of the US against the Iranian aggression and this is the right way to stop it,' Netanyahu stated. Zelenskiy Wins: What's Next for Ukraine? - [image: Zelenskiy Wins: What's Next for Ukraine?] "Zelenskiy must move on reforms" following his landslide victory, Ambassador John Herbst says. Synthetic peptide may help treat Alzheimer's disease - The new research may be pave the way for treating the neurodegenerative disorder at an early stage. Can you get hit by someone else’s ransomware? [VIDEO] - How to protect yourself from being *affected* by malware, even if you're not yourself *infected*. Ukraine: TV Star Zelensky Wins in Landslide – Will He Change Relations with Russia? - *Stalker Zone* | With the US-backed puppet buried in a landslide defeat, will the Ukraine look to detente with neighbor Russia? Glazov Gang: Islamic Hate for the Christian Cross - What really lies behind Jihadist hatred of the Crucifix? The Cyber Shafarat | The greatest WordPress.com site in all the land! Iranian Hackers Outed – OilRig Boys exposed and then some - Continue reading The post Iranian Hackers Outed – OilRig Boys exposed and then some appeared first on The Cyber Shafarat - Treadstone 71. Gulf leaders praise Israel ties in closed-door meeting - Tamara Nassar 20 February 2019 Officials from Bahrain, Saudi Arabia, Oman and the United Arab Emirates move closer to Israel. 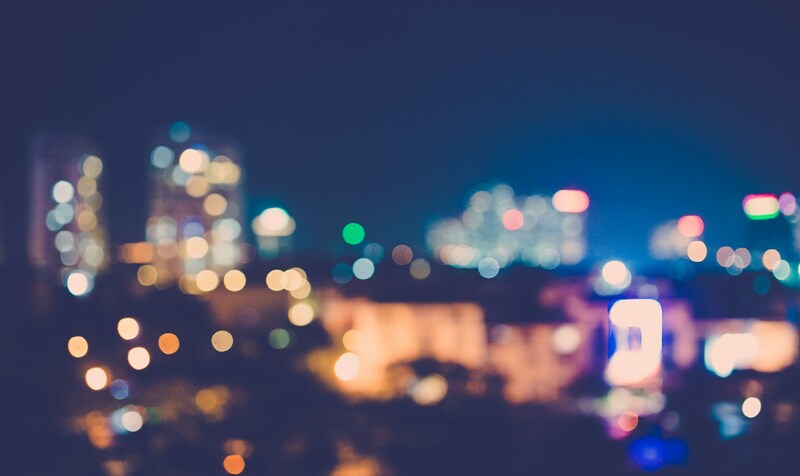 From An Almost Dreamer - The post From An Almost Dreamer appeared first on Global Faith. President Trump Spam Retweets Mitt Romney’s Niece - The President obviously just went to her account and picked out random recent tweets. Lawsuit reveals how Democrats are getting non-citizens to vote – and it’s worse than we thought - This must be stopped. Frantic Goat - GlobalSecurity.org | Rumors, scaremongering, and other random observations to brighten your day! Pamela Geller Stands For Hate, Not Debate. Hannity Radio (6/5/15) - On June 5th I was invited to debate Pamela Geller on Sean Hannity’s radio show on Fox News. Here is the audio of the debate. Stand Up and Count the Elephants - This video was inspired in part by AntiCitizenX's truly excellent series on the Psychology of Faith. 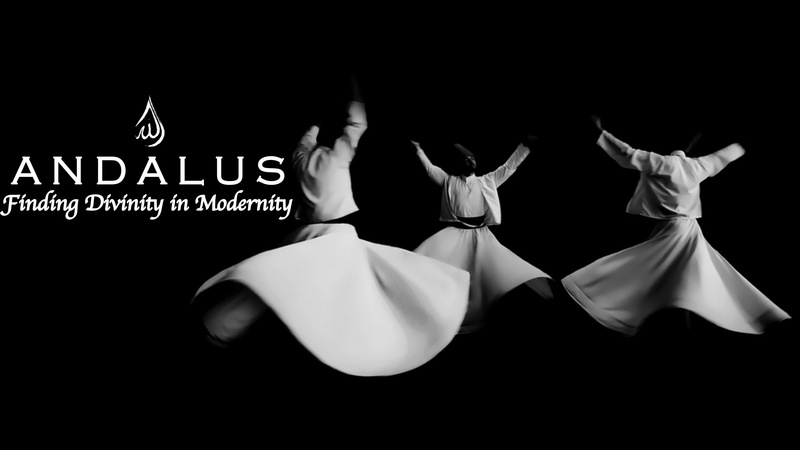 The Historyscoper's Free Online Islam History Course - the best, can you handle the challenge? T.L. Winslow (TLW). Watermark theme. Powered by Blogger.